Absorbs shock and protects electronics. 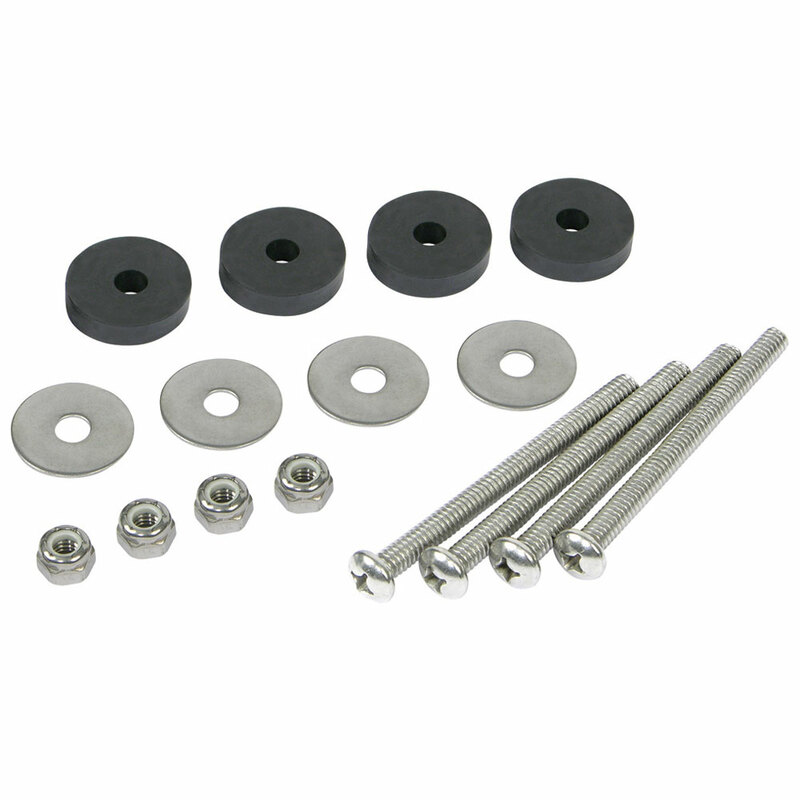 Stainless-steel bolts, fender washers, and nylon lock nuts fit all trolling motors. Four per package.